Pennsylvania currently has 22 signed Interstate highways, with the planned extension of I-295 west from Trenton, New Jersey set to add another later this year. 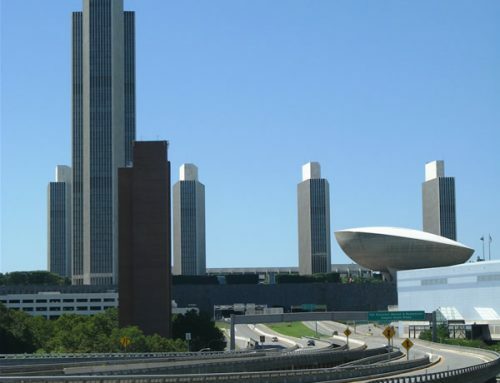 With two major metropolitan areas, and several medium sized cities as well, the state sees an array of Interstate loops and spurs. Several of the main routes appeared on the August 2, 1947 National System of Interstate Highways map. Following the Federal-Aid Highway Act of 1956, the national system was formally adopted by the American Association of State Highway Officials on August 14, 1957. 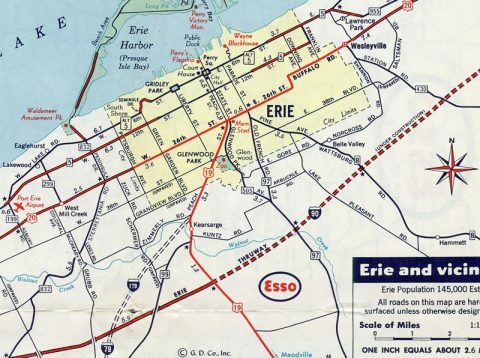 By October 18, 1957, an additional 2,102 miles were added to the system,1 and for Pennsylvania that included urban routes at Philadelphia and Scranton, and the establishment of Interstate 79 from Erie south to Pittsburgh. Interstate 70 was proposed to loop north from Washington along what is now I-79 to the Penn Lincoln Parkway West (U.S. 22-30) to Downtown Pittsburgh, and along Penn Lincoln Parkway (U.S. 22) east to Monroeville. The route would then overlap with I-80S east to Breezewood. The current route of Interstate 70 east from Washington to New Stanton was designated as Interstate 70S. 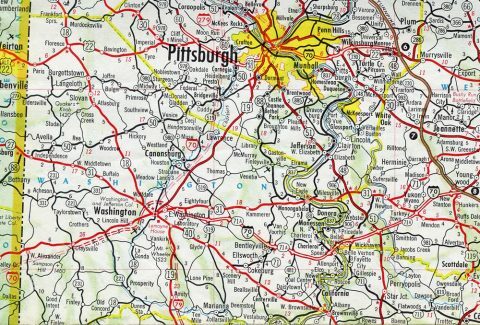 This changed by 1964 with I-70 shifting south over I-70S, and the loop north through Pittsburgh being renumbered as part of an extended I-79 south to West Virginia, and as the newly designated I-76 between Downtown Pittsburgh and the Pennsylvania Turnpike at Monroeville. Interstate 76 was initially designated along Penn Lincoln Parkway east from the Fort Pitt Bridge (Interstate 79) to Monroeville in 1964. 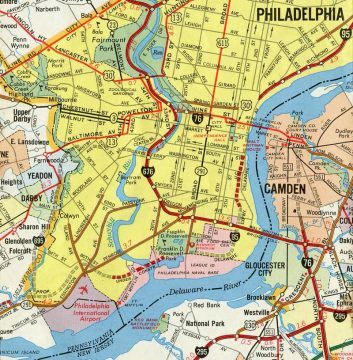 It also replaced Interstate 80S over the Pennsylvania Turnpike east to Valley Forge, and along the Schuylkill Expressway south to the Vine Street Expressway in Philadelphia. 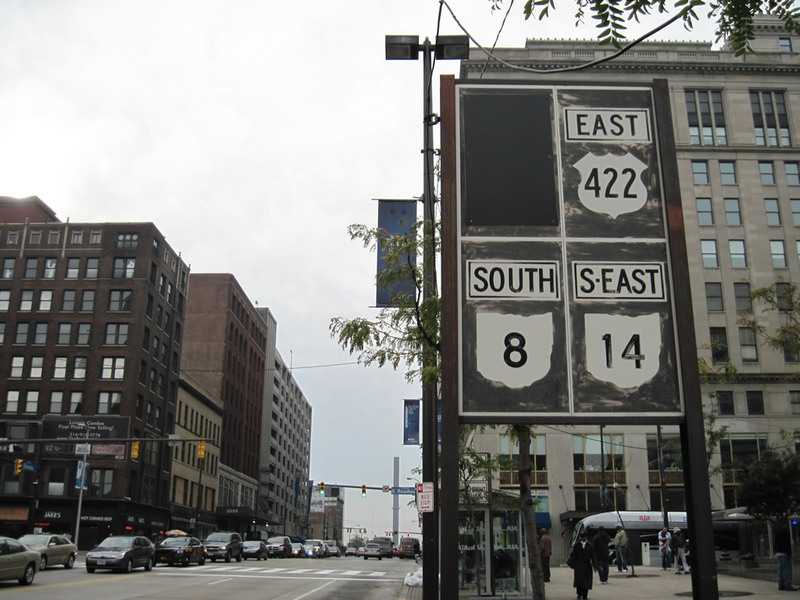 I-76 replaced the remainder of I-80S northwest from the Pittsburgh area to Ohio in 1971. A final change switched I-76 and I-676 in Philadelphia in 1972 so that Interstate 76 would follow the Walt Whitman Bridge east into New Jersey and I-676 over the partially completed Vine Street Expressway. This was a good decision, as the Vine Street Expressway was not finished until 1991. 1971 map showing the unbuilt Interstate 695, and the alignments of I-676 and I-76 switched. With Interstate 80S following the Pennsylvania Turnpike and Schuylkill Expressway, all branch routes in eastern Pennsylvania were designated as loops and spurs from I-80. 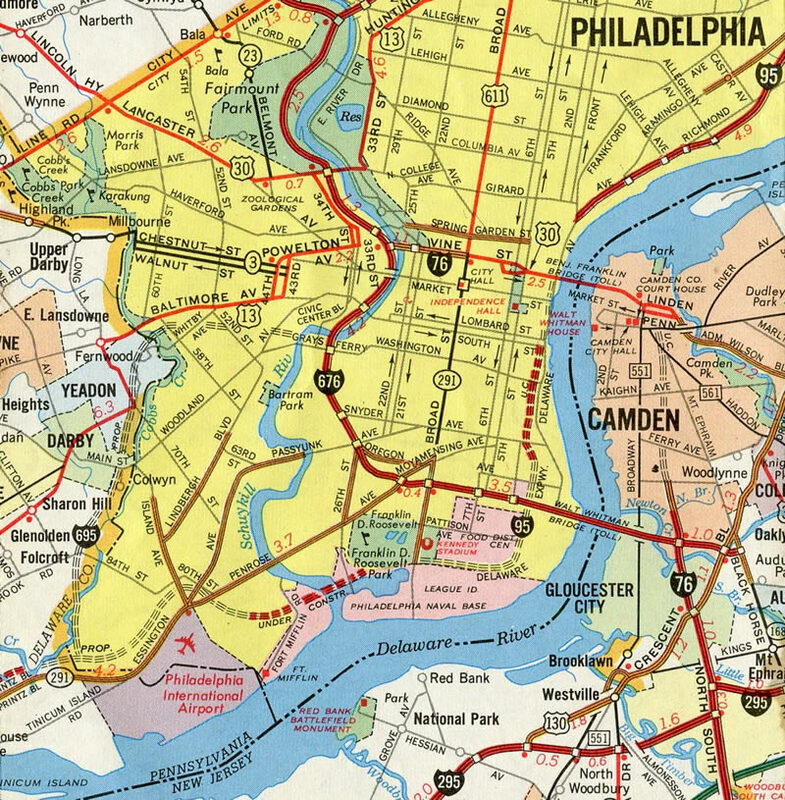 Interstate 176 to Reading was numbered as I-180, the Delaware River Extension of the Turnpike was numbered as I-280, the proposed Mid-County Expressway was numbered as I-480, and the loop through South Philadelphia to Camden was numbered as I-680. These changed in 1964. Interstate 180 designated along I-176 between the PA Turnpike and Reading in 1963. Interstates 176 and 276 basically remain unchanged to this day, though a direct ramp was added for I-176 to the Pennsylvania Turnpike in 1996, and I-276 will be shortened slightly when I-95 moves onto the Delaware Turnpike Toll Bridge as part of its realignment planned for 2017. A lengthy extension of Interstate 376 overtook I-279 along Penn Lincoln Parkway West from Pittsburgh to I-79, and along Pennsylvania 60 north to I-80 at Sharon in 2009. The result is a nearly 79 mile loop from the Pennsylvania Turnpike southward. Several years in the making, the extension of Interstate 476 north along the Pennsylvania Turnpike Northeast Extension was finalized in 1996. 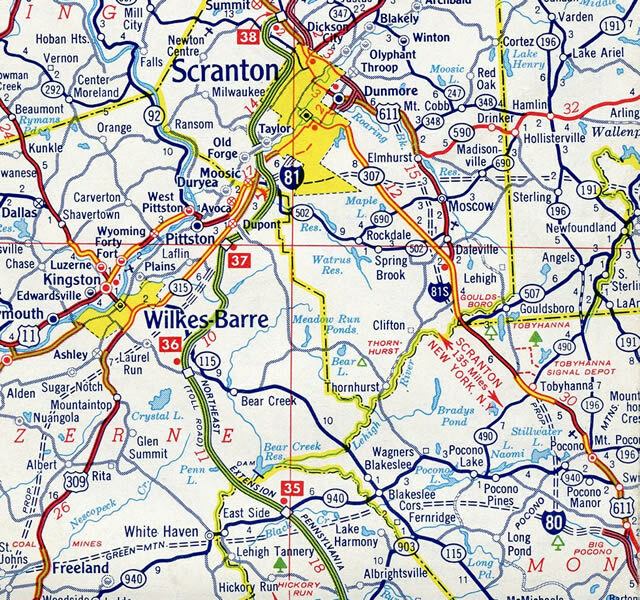 The route replaced Pennsylvania 9 along the toll road north to Scranton, becoming the longest three-digit Interstate within the system. 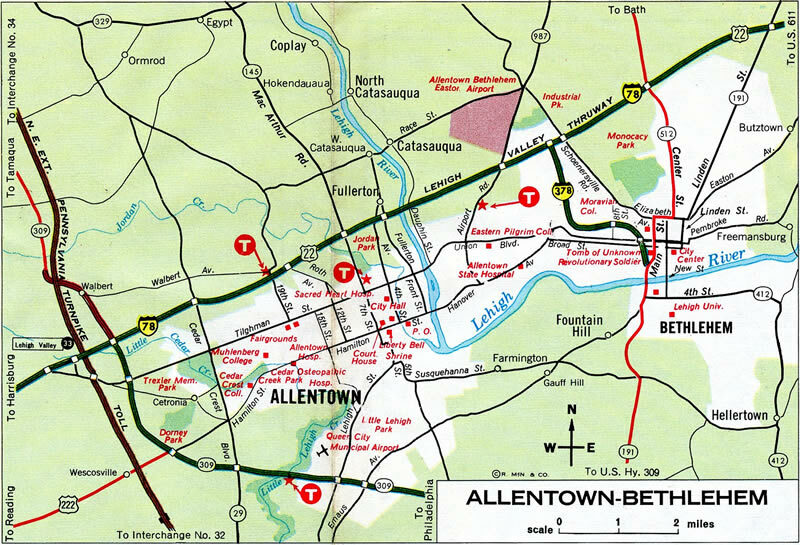 Interstate 78 replaced U.S. 22 from I-81 outside Harrisburg, to the Lehigh Valley Thruway at Allentown and Bethlehem. Construction of the freeway through Phillipsburg, New Jersey stopped in 1968, leading to the 1970 approved realignment of I-78 onto a new route to the south. The change resulted in the elimination of the unbuilt spur for Interstate 178 into Allentown and the downgrade of Interstate 378 to Pennsylvania 378 along the Bethlehem Spur. Interstate 78 along the Lehigh Valley Thruway and I-378 spurring south to Downtown Bethlehem in 1970. 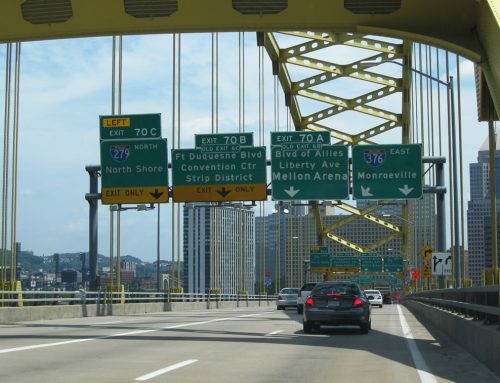 Interstate 79 was initially proposed to end in Pittsburgh. The extension south to West Virginia was not finished in Pennsylvania until 1974. 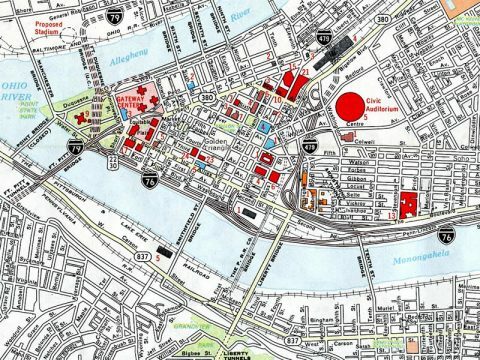 Through the 1960s, the alignment of I-79 looped into Pittsburgh along an unbuilt section of what is now Interstate 279 south to the Fort Pitt Bridge, and along Penn Lincoln Parkway west to Carnegie. I-279 then was proposed as a bypass to the west along what is now the I-79 mainline. A subsequent change took place in 1970, with I-79 and I-279 trading places in the Pittsburgh area. I-79 following Penn Lincoln Parkway West and I-76 along Penn Lincoln Parkway East, with I-279 projected along the through route to the west in 1967. 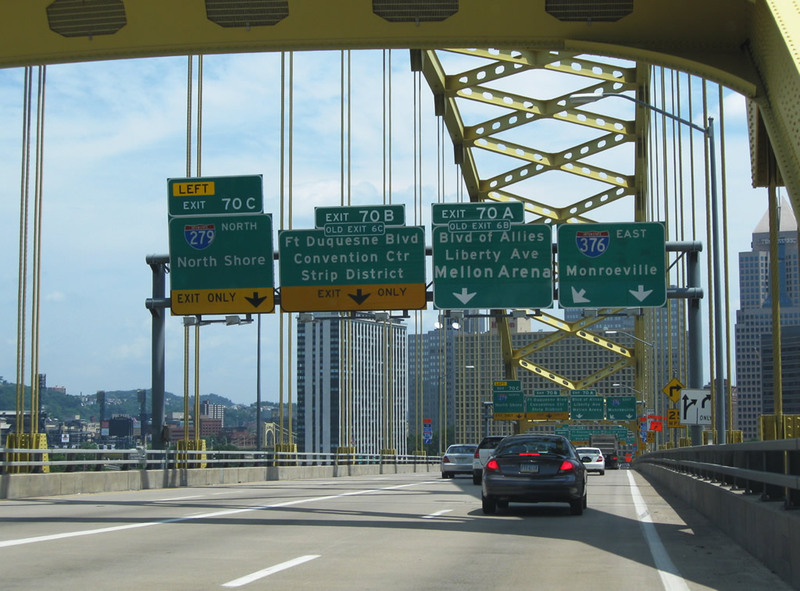 I-279 in Pittsburgh was truncated to the Fort Pitt Bridge in favor of the extended I-376 in 2009. Interstate 579 links I-279 with Downtown Pittsburgh across the Veterans Memorial Bridge. The short spur was first proposed as Interstate 479, as I-279 was assigned to bypass Pittsburgh to the west. 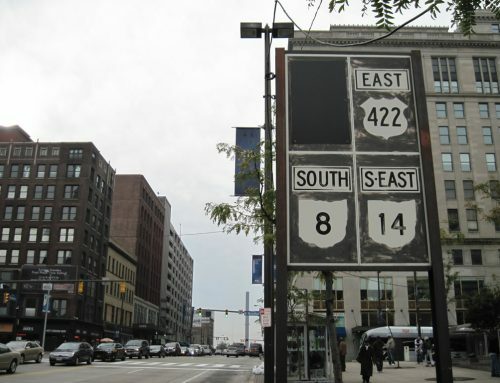 It was renumbered to Interstate 876 when I-79 and I-279 switched locations, and again in 1971 to I-579 as it would not directly connect with newly established I-376 along Penn Lincoln Parkway East. Interstate 479 designated along Crosstown Boulevard in 1967. The Erie spur portion of I-79 north of Interstate 90 was proposed as Interstate 179 in 1958. It was changed to I-79 in the 1960s. 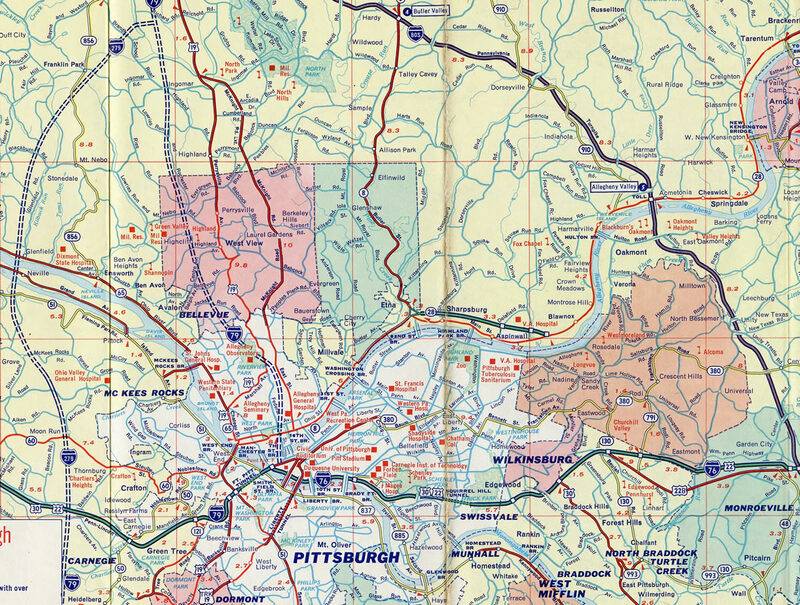 Interstate 179 proposed as a connector between I-79 and I-90 with U.S. 19 in 1960. Interstate 80 along the Keystone Shortway remains unchanged. The I-180 spur into Williamsport was added to the system in 1983. 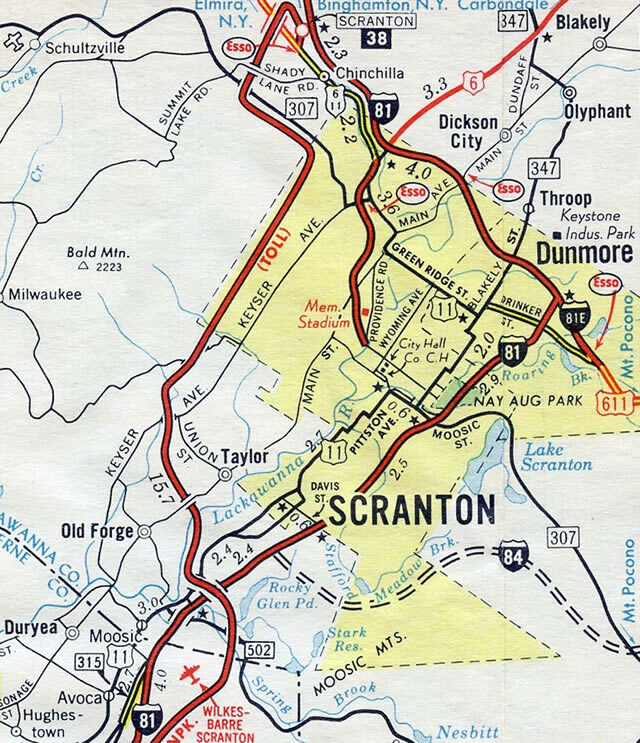 Interstate 380 took the place of the incomplete Interstate 81E northwest to Scranton in 1972. 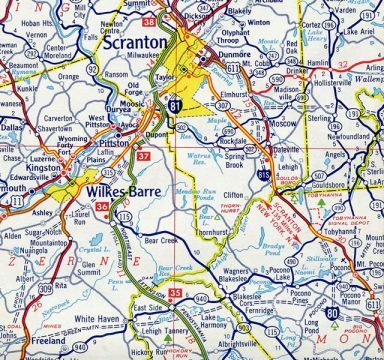 Interstate 81 angles northeast through Harrisburg, Wilkes-Barre and Scranton generally along the 1957 planned route. The freeway connecting Scranton with I-80 southeast near Pocono Summit however was proposed as Interstate 81S, then renumbered to I-81E. Pennsylvania 581 east from I-81 to Camp Hill was never considered as a potential branch route. Interstate 83 replaced U.S. 111 along a 1950s-built freeway stretching north from Baltimore to York and Harrisburg. I-283 connects the freeway east of Harrisburg with the Pennsylvania Turnpike. Pennsylvania 283 extends east from I-283 to Lancaster as a full freeway, but was never planned as part of the route. 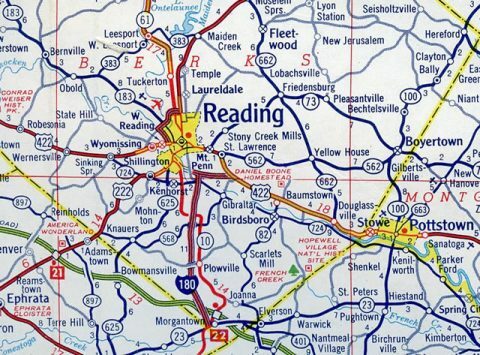 I-83 was signed as part of Harrisburg’s Capital Beltway in 1998.2 The distinction was applied to I-83 south and east of Harrisburg, I-81 north of Enola and Progress, and PA 581 through Camp Hill. 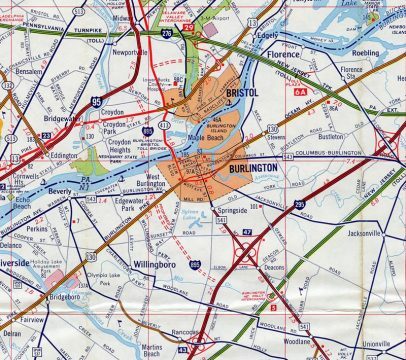 Interstate 84 was proposed to run south of Scranton to I-81 near Moosic. The designation shifted onto an overlap with I-380 to the north in 1972. 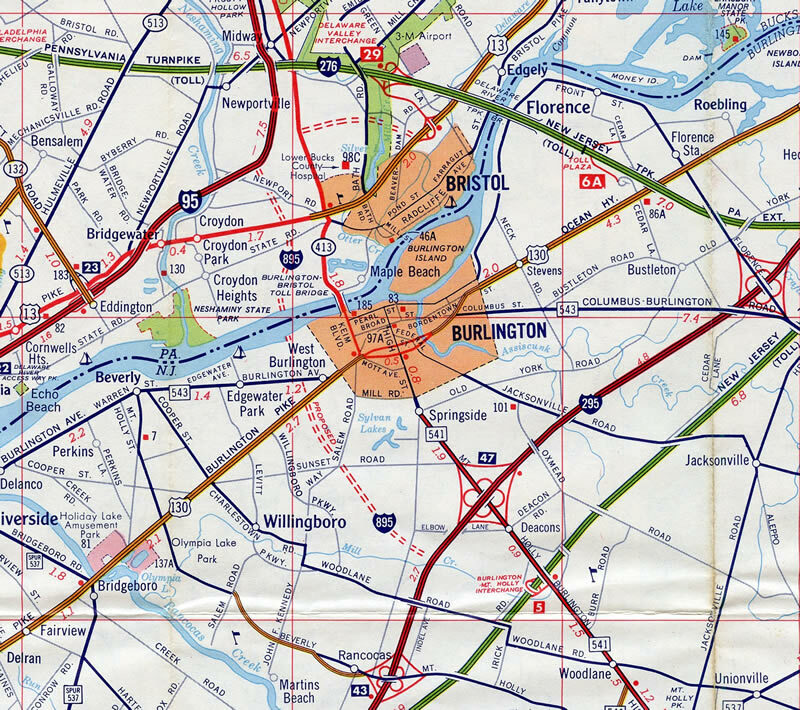 The projected alignment of Interstate 84 around the south side of Scranton in 1967. Interstate 86 replaced the northern segment of Pennsylvania 17 in 1998 as part of a renumbering of New York 17 east to Corning. The southern segment of Pennsylvania 17 is located north of Harrisburg. Interstate 90 passes south of Erie and is unchanged. 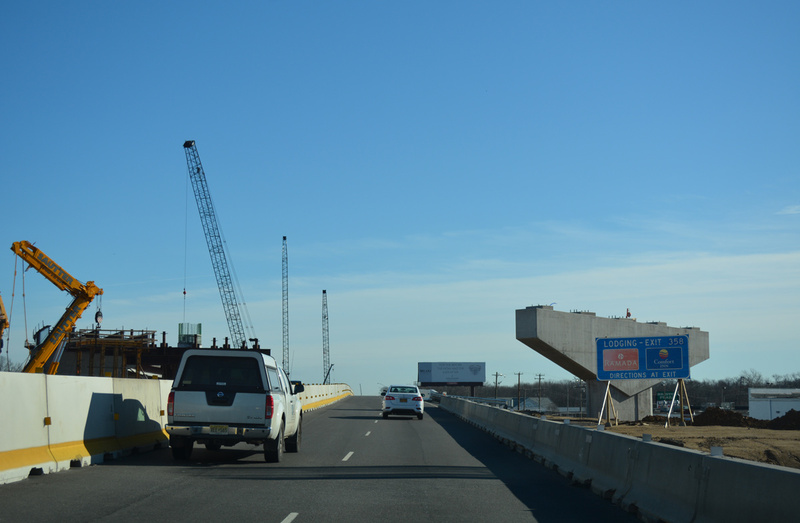 Interstate 95 currently travels northeast from Chester through Philadelphia to Morrisville. 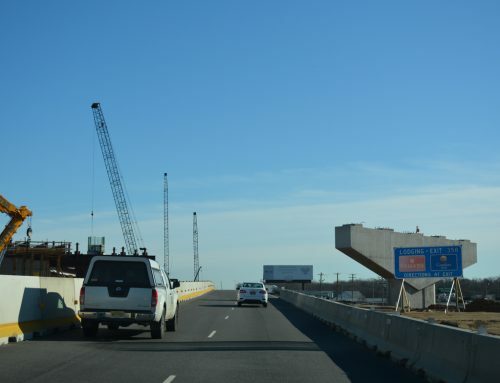 Completion of new flyovers at the I-95/276 PA Turnpike Interchange scheduled for 2018 will coincide with the relocation of I-95 from eastern Bucks County and the Trenton Belt Line onto the Pennsylvania Turnpike east into New Jersey. This will close the gap created by the 1982 cancellation of the Somerset Freeway for I-95 in New Jersey. With the new alignment of I-95, Interstate 295 will be extended west from Lawrenceville, New Jersey over the former route of I-95 to Bucks County, Pennsylvania and I-276. This proposal follows two preceding ideas. Approved by AASHTO in 2007 was the future extension of Interstate 195 north over I-295 from White Horse, NJ to U.S. 1, and over I-95 southwest to I-276 near Bristol, PA. A succeeding change appeared on the project web site for the new interchange in 2014, revealing Interstate 395 as the number for I-95 between Bristol and Lawrenceville. The western extension of I-295 however, was back in play by 2015. The Interstate 395 concept in Pennsylvania is the second in the history of the Interstate system. The New Jersey requests to AASHO in 1958 called for I-395 along I-76 (North South Freeway) and I-380 for what later became I-680 (and then I-676). See our May 2007 post for some maps showing the early I-395. Two other branches were planned but never built for Interstate 95 in southeastern Pennsylvania. Interstate 695 was proposed along the Cobbs Creek Expressway as a loop north from I-95 near Philadelphia International Airport to I-76 (Schuylkill Expressway) near South Street. Interstate 895 represented a new north-south crossing of the Delaware River near Bristol. Lastly, Interstate 99 debuted in Pennsylvania as part of the National Highway Designation Act of 1995 between Bedford and Altoona. 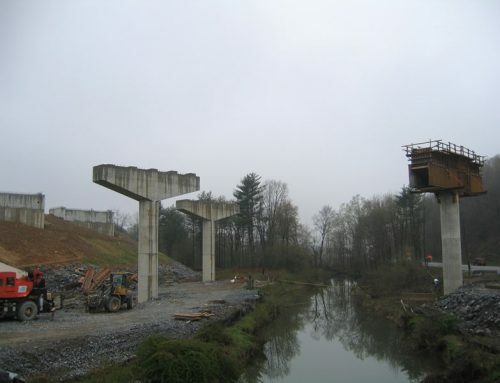 The route was extended north to Bellefonte by 2008, and long range plans will upgrade U.S. 220 through Lock Haven and U.S. 15 north from Williamsport to Interstate standards. A short section of I-99 was also designated along U.S. 15 from the Pennsylvania state line north to Painted Post, New York in 2014. 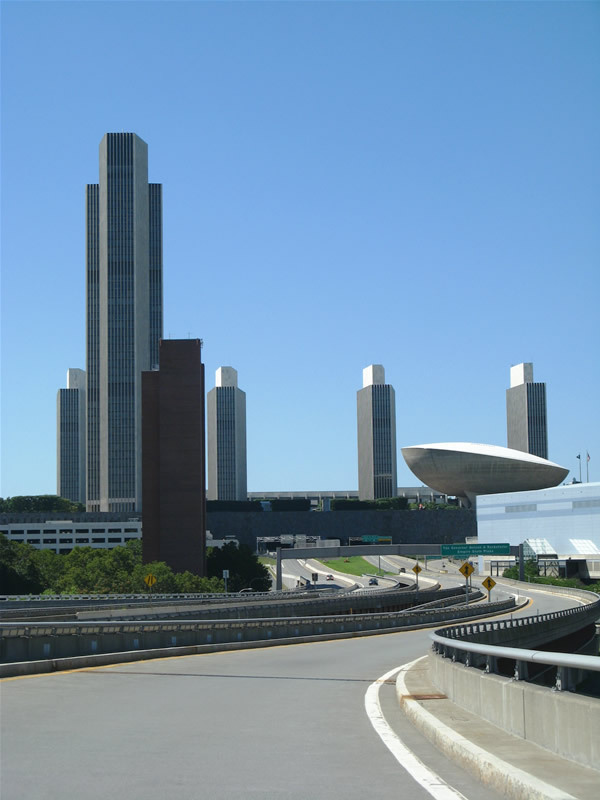 Designating the Urban Interstates, FHWA Highway History. hannaman. “A *New* Capital Beltway.” Online posting, misc.transport.road. April 17, 1998.